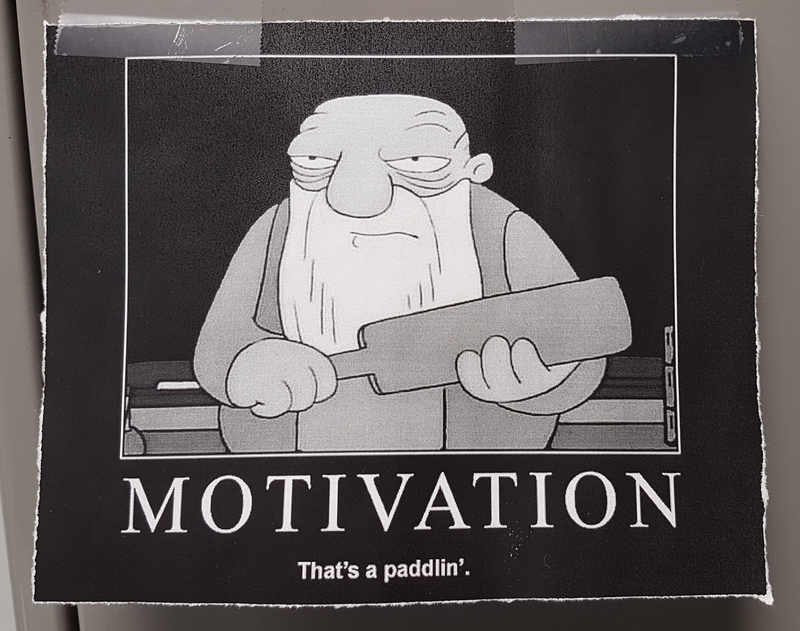 I found Jasper from the Simpsons on my filing cabinet one morning, with a motivational message! I find it amusing when templates aren’t removed (like “this is a paragraph” on a template-based site) – and I always find Jasper paddlin’ references amusing too! I like the one on a landscape better. I’m going to have to print it out and tape it up in my work area. My brother always said to my niece. I had two others in the past. One was Captain Kirk, not sure what the slogan was. I also had Admiral Ackbar from Star Wars with the saying “He Knows When Something Is A Trap”. Like it, I might have to print it off as well. Haha awesome. Do you know who did it? You need to Rick-roll them.